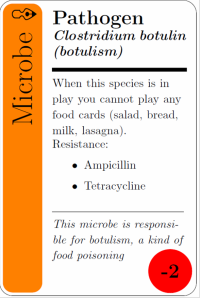 So – we are hoping to hire an artist to do some contract work for “Gut Check” the microbiome game. And we need some help and advice. We would like the game and all the art associated it to be released under as broad an open license as possible. But we would also like to support the artist as much as possible. It seems to me there are two general strategies for doing this. First, we pay extra money to the artist relative to what they might get normally in order to free up the art into the public domain. And the second is to somehow work out a license and copyright arrangement where the use of the art for the game can be “free and open” but where the artists retains rights for using the art for other purposes. I can figure out how to do the first option (and this is my preference I think). But I have not been able to come up with a good strategy for the second option and thus have nothing to really compare the first option to. So – please – any examples or advice would be greatly appreciated for strategies for releasing artwork openly for one purpose (e.g., our game) but where the artist would retain rights for other uses.